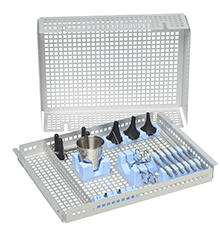 Designed to protect delicate middle ear instruments, minimize handling and allow fast instrument identification. You will be directed to www.instrusafe.com. InstruSafe is a registered trademark of Summit Medical. All rights reserved.